Lonavala is a perfect hill station destination when in Pune or Mumbai districts. Lonavala was discovered by Lord Elphinstone, Governor of Bombay Presidency at the time. Lonavala is situated at an altitude of 622 metres, in the Sahyadri range. Khandala is called its twin hill station. Lonavala is known for the world famous hard candy chikki and, in every nook and corner, one can find different flavoured chikkis. Lonavala also hosts the Premier Technical Training Institute of the Indian Navy. Nothing like taking a break from the hustle-bustle of the city and indulging is some nature therapy and the places to visit in Lonavala are nature’s gift to mankind. Karla Caves, Lohagad fort, Bhushi Dam, Walwan Dam, Visapur Fort, and Lonavala Lake are the famous attractions in Lonavala. The Lohagad fort and the Visapur fort are connected through a small range. Rajmachi, Tikona, Korigard are the other forts around Lonavala one can check out. Located on the Indrayani river is the Bhushi Dam. The Walwan Dam is a famous evening spot to visit. This dam supplies water to the Khopoli power station for generating power. The dam’s reservoir is fed by the Kundali River. Water bodies, forts and greenery, Lonavala is a scenic package for all travellers. Close to the Karla caves is the Kaivalyadhama Yoga Hospital which is yoga centre conducting classes for all health and fitness freaks. Ekvira Devi Temple is also in close proximity, one can hit upon when around the area. Tiger’s point is a famous tourist spot, especially for the adventure enthusiasts. It is a cliff top at the height of 650m, giving spectacular view. Right at the leap is a waterfall which is a good view during the monsoons. The fall turns into a stream as the cliff descents. A trek up to the spot is an experience in itself. Ryewood Park is a huge garden in Lonavala covered in lush greenery and also a great place for children to play, which is one other famous tourist spot. Lonavala gives its folks a lot of options to stay in – right from budget hotels to luxury hotels. Rhythm Lonavala, Upper Deck Resort, The Dukes Retreat are the few of the many hotels in Lonavala which offer world class amenities along with spa, swimming pool. Resort Silver Hills, Sapphire Hotel, and Biji’s Hill Retreat fall under the budget options of stay. The budget options promise an equally comfortable stay with absolutely no compromises. 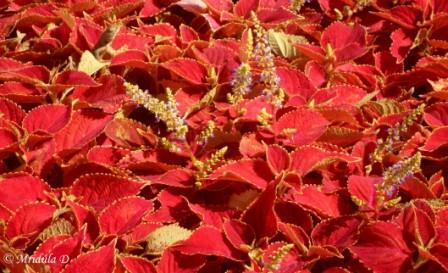 Lush greenery is a free-of-cost amenity to be enjoyed while staying in Lonavala hotels. Lonavala is located on the Mumbai – Pune express highway. But the train to Lonavala is the best way to get to the hill station. The journey up the Western Ghats is a treat for the wanderlust souls, nearest departure points being Mumbai and Pune. If one is travelling from different parts of the country, a flight to Mumbai or Pune followed by road/train is the best option of travel. To commute within Lonavala, hiring cycles can be a fun option to try out. My complete Della Adventure, Lonavala Story is now up at Gonomad. Give it a look! 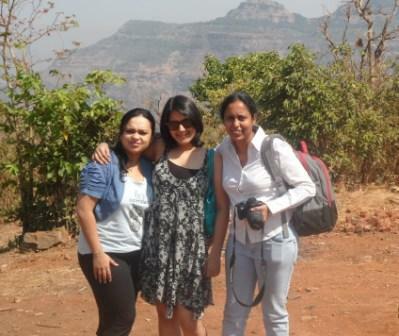 Avantika and Sanyukta made me experiment with a lot of adventure stuff. I would not have done half of it without their constant “you should try this.” The first thing that I tried was the high rope activities. When I started climbing up the platform I was quite sure that at some stage I would miss a step and I would be hanging from the safety rope! If you peer hard you can see a reptile at the top left corner. Didn’t notice it while clicking the picture or else I would have tried to put it in better focus. I clicked this picture at Della Camps.